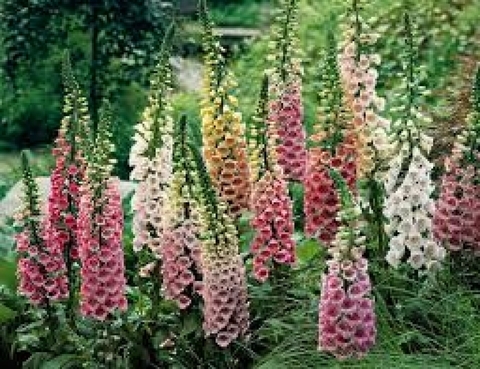 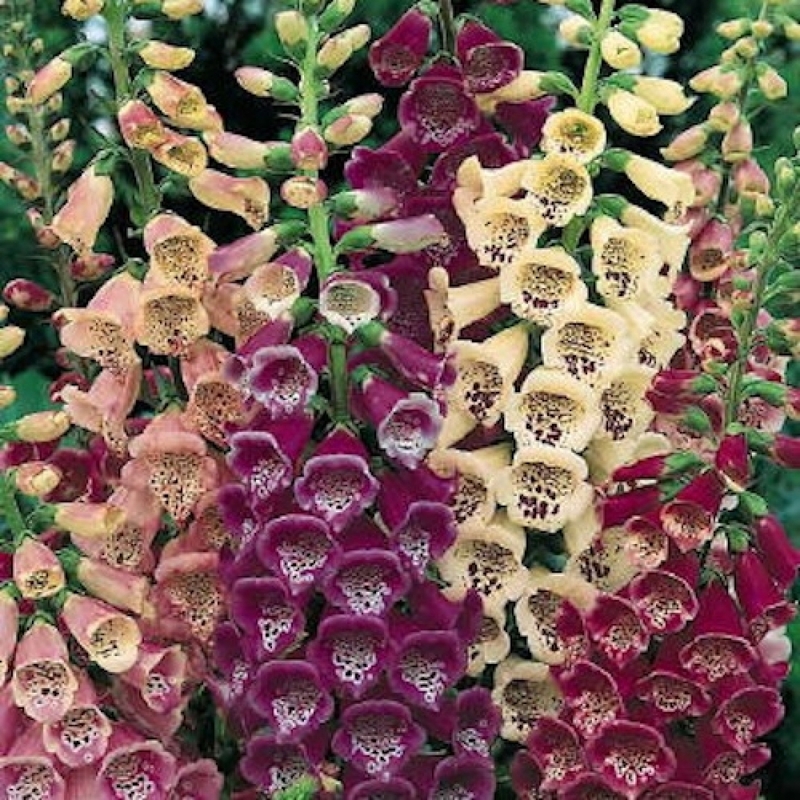 Foxglove&apos;s low-growing foliage is topped by 2- to 5-foot-tall flower spikes, depending on the variety. 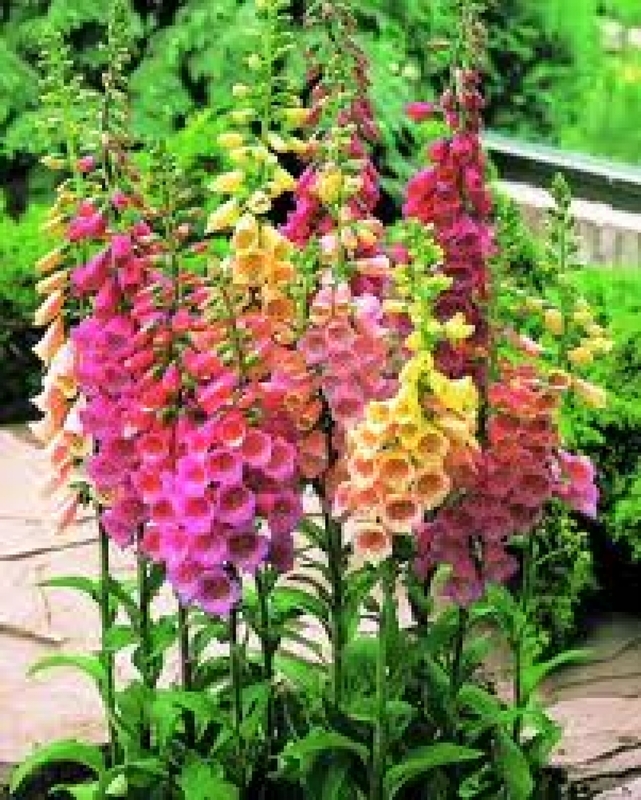 Flower colors include pink, red, purple, white, and yellow. Foxgloves are biennials or short-lived perennials. 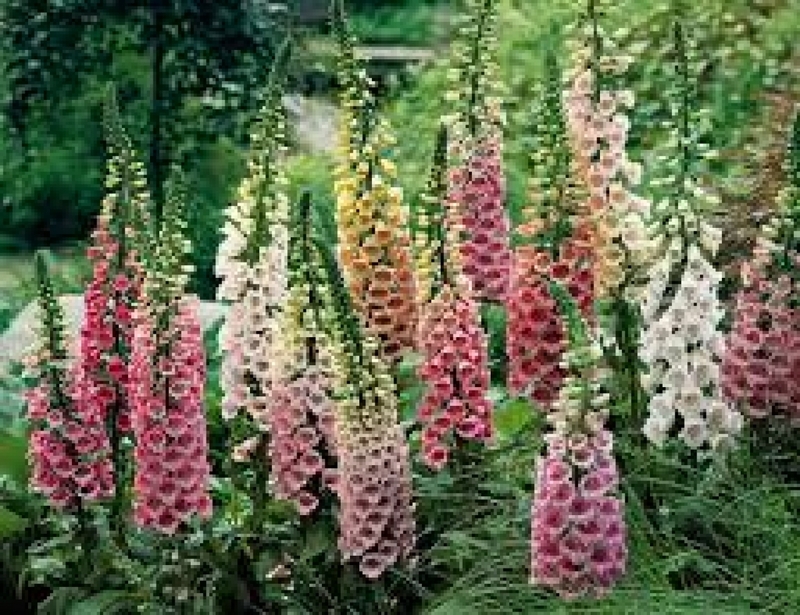 However, although individual plants may be short-lived, foxglove readily self-sows and multiplies. 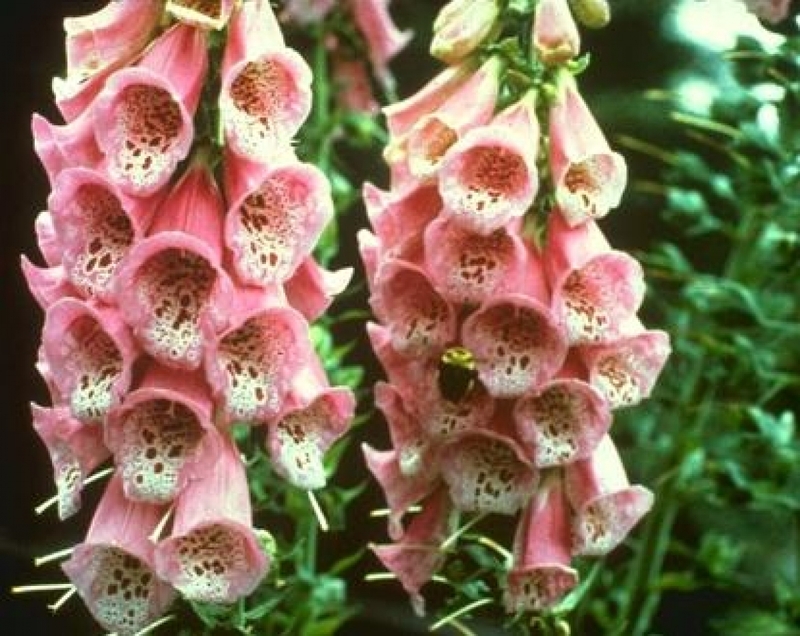 Foxglove leaves contain digitalis, a potent heart medicine, and are considered poisonous. Height : 24 - 48"